Children bring a kosher lunch from home daily. Pareve items include tuna, peanut butter, vegetables, pasta and anything else that is not meat or dairy. Please be careful not to mix meat and dairy in the same lunch. Snacks can be purchased at any grocery store provided that they have Kosher markings such as: OU, OK, KSA, Star K etc. Drinks should also be included in the lunch. C.G.I will provide an afternoon snack and cold water throughout the day. 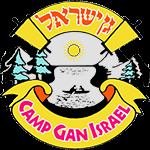 On trip days, campers will be encouraged to buy only Kosher items at refreshments stands etc.